Tunku Abdul Rahman Putra Memorial was erected in memory of Tunku Abdul Rahman to honor his great achievements, good deeds, and insight into the developments in Malaysia. Tunku Abdul Rahman who is also known as Bapa Malaysia or Bapa Merdeka which means Father of Independence, was the first Prime Minister of Malaysia from 1957 to 1970. Tunku fought for Malaysia's Independence from the British in 1957. Our fourth Prime Minister, Yang Amat Berhormat Dato' Seri Mahathir Mohamad officially launched the memorial on the 11th November 1994. 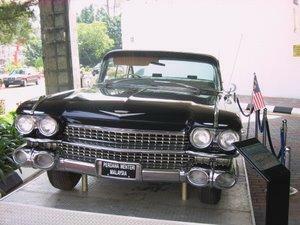 Ever curious to know, imagine or even have the faintest idea on the lifestyle of Tunku? Wander no further as part of the memorial is the formal residence of Tunku Abdul Rahman. This part of the memorial - known as the Residency is over 100 years old and very well preserved in its original form. The memorial exhibit's the Tunku's legacy ranging from clothing, photographs, documents, cartoons on Tunku, granite display of the 'Proclamation of Independence', biographies of Tunku and his wife Tun Sharifah Rodziah, personal collection of books, aftershave, golf clubs, and speedboat! 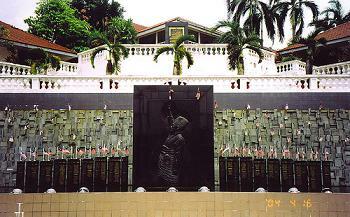 The memorial comprises of 3 buildings. 'The Residency' as described above is the main building flanked by 2 newer blocks. 'The Residency' was his home and office which he occupied from 1956 to 1972 (as the Chief Minister of the Federation of Malaya and later as the first Prime Minister of the Federation of Malaya and later Malaysia). p>The 120,000 square meters of the exhibition area proudly displays archived materials, mementos, books and letters of Tunku Abdul Rahman Putra. He is a very well admired and respected world leader and via the memorial, his legacy lives on! There is also an audio/visual screening area at the mini theatre. Getting there: Take the KTM komuter train to the Bank Negara Station. The memorial is a 10 minute walk away.